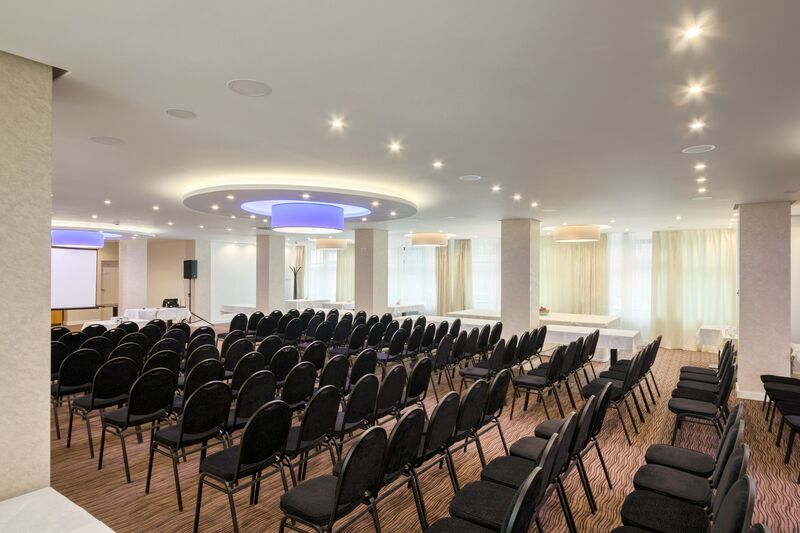 New City Hotel has perfect conditions for organizing all kinds of successful conferences, seminars, business meetings, workshops, and all kinds of corporate meetings and celebrations. 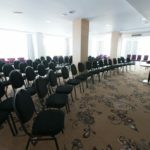 The hotel has three multifunctional conference rooms, and each of them has the capacity of 25 to 300 seats, so the hotel can be a venue for more meetings and gatherings simultaneously. 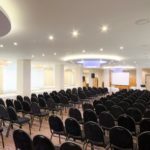 Our sales sector will always be at your disposal, and will aim to fulfill all your requests with the goal of having any event organized in the best possible way. 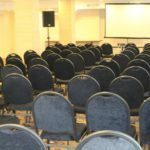 The equipment which you can always use is the following: LCD monitors, projectors, linen, DVD player, lap top, Wi-Fi internet, equipment for simultaneous translation (with special reservation). 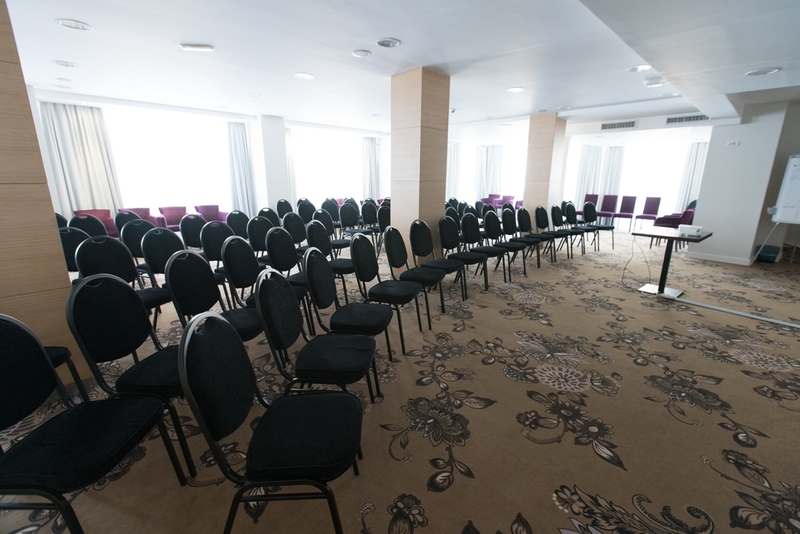 Banquet room is the biggest conference room and it is located on the ground floor. 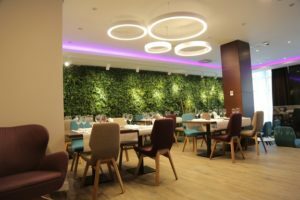 It is well-connected to the reception and a la cart restaurant. 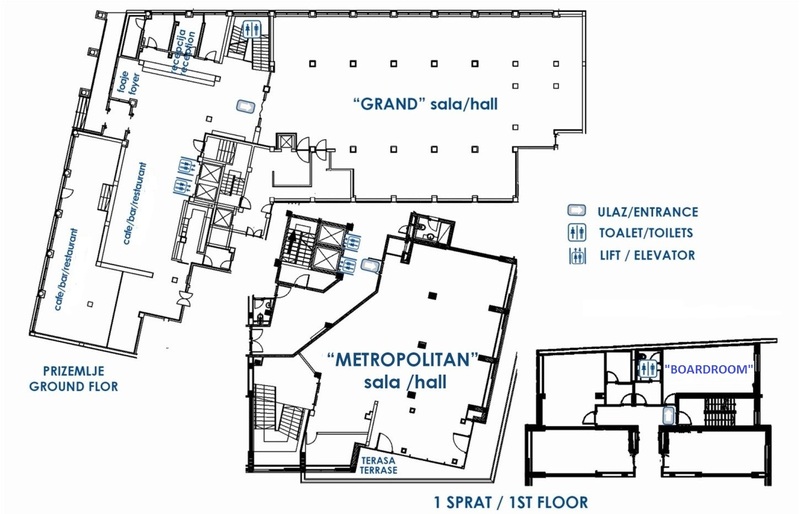 Its size is 398 m². 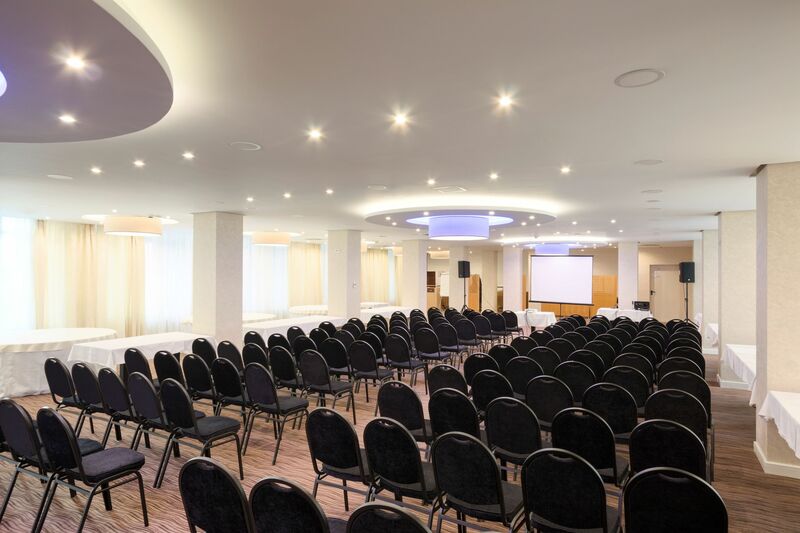 There are big portals and much natural light, as well as good lighting and decorative light, which give to the guests a variety of possibilities for organizing different events, with the overall capacity of 300 seats. 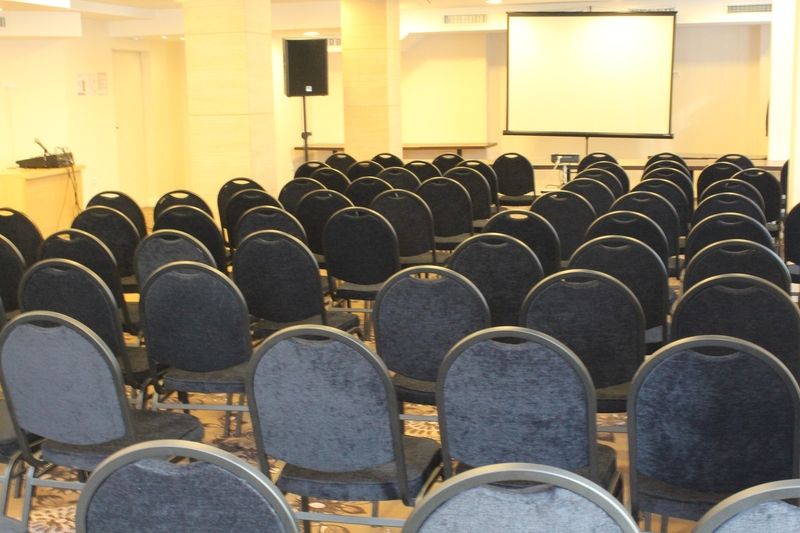 Metropolitan room is the conference room with the overall capacity of 120 seats, with functional ‘deaf room’ for simultaneous translation and possibilities for different settings for the seminars, education, presentations, and meetings. 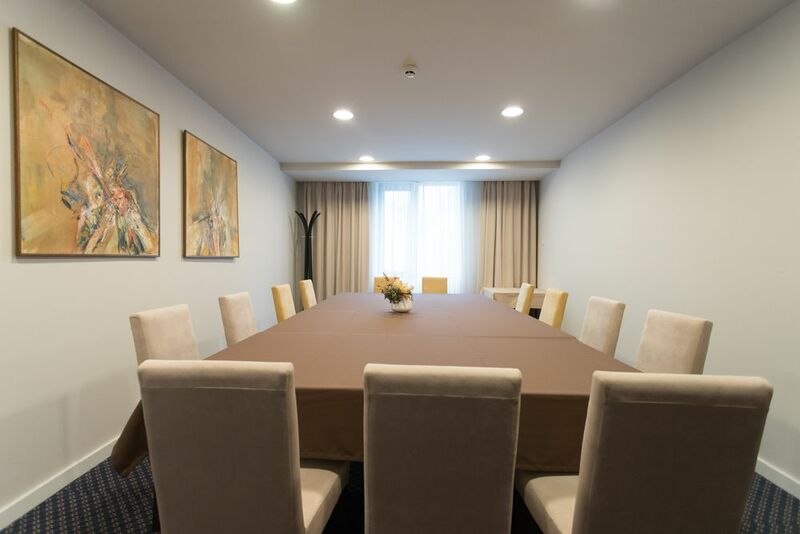 It is 163 m², its location is on the first floor, it is well-connected to the reception, a la cart restaurant and lobby, on one side, and with the accommodation part on another side. 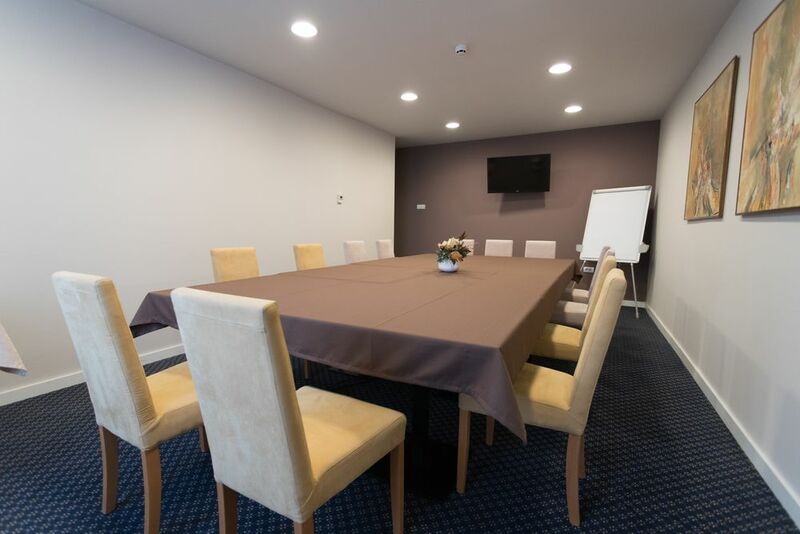 Big portals and natural light enable you to work there the whole day without any disturbance. 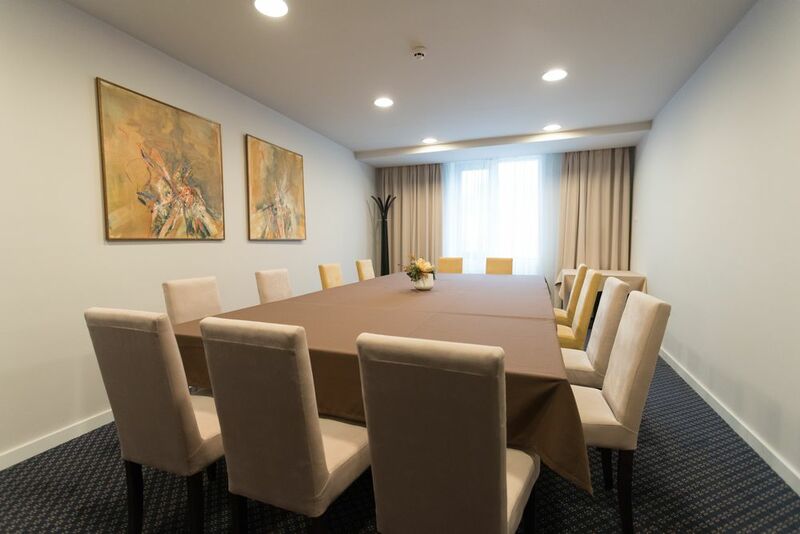 It is located on the first floor of the hotel, and it is ideal for small business meetings. 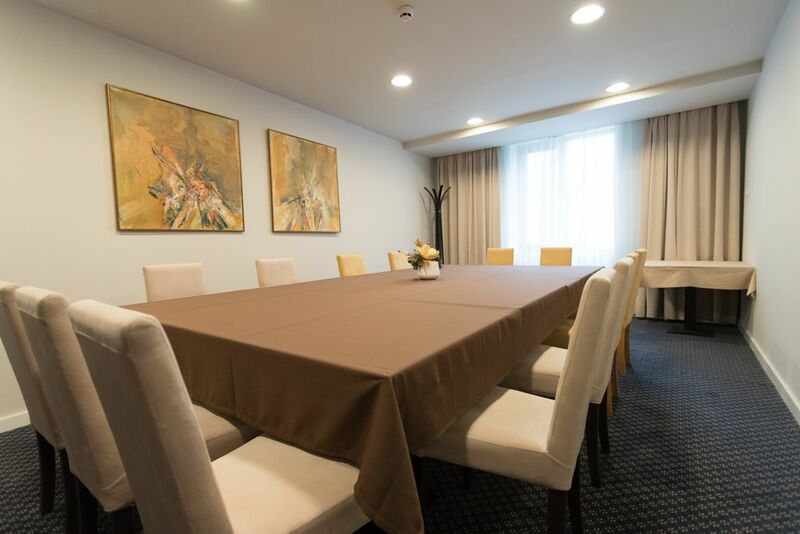 Due to its location, and separation from the other parts of the hotel, it is perfect for the organization of video conferences or board of company on the high level, as well as for the presentation for a small number of guests.